We understand that insurance can be confusing and we are here to help in any way we can. Insurance is an agreement between you, your employer and the insurance company. We do not dictate how or what the insurance company will pay. 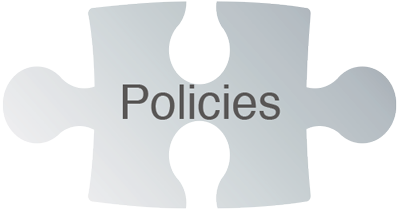 We encourage you to become familiar with your policy exclusions and deductibles. We will always help our patients maximize their benefits, including same day electronic form filing with the insurance company. Please be aware that patients are ultimately responsible for the full cost of treatment, regardless of whether or not we accept their insurance benefits. The financials provided to you are only an estimate based on the information provided to us. In the event a pre-estimate/determination is submitted on your behalf, please be aware that the estimate is not a binding contract with your insurance and it is possible that services that were once estimated to be covered could be denied. Paying any fees not covered by your insurance plan at the time the service is rendered. All services are charged directly to the patient and you are personally responsible for payment of all dental services. Researching your dental insurance plan and understanding the dental benefits available to you. Understanding that the insurance policy is a contract between you and the insurance company and that we have no leverage to obtain payment from your insurance carrier. This office will help prepare the patients insurance forms or assist in making collections from insurance companies and will credit any such collections to the patient’s account. However, this dental office cannot render services on the assumption that our charges will be paid by an insurance company. Realizing that dental insurance policies restrict payment for some services, use restricted fee schedules (called usual and customary rates) and exclude some procedures based on prior conditions or length of time on the plan. All restrictions are based on the premium paid for insurance, not our fees or recommended treatment. Keeping our office informed of any changes in your insurance coverage. Accepting responsibility for payment if the insurance company does not provide payment. Our office accepts cash, checks and credit cards. Payment is expected at the time services are performed, and financial arrangements must be made in advance of any treatment. Our practice depends upon reimbursement from our patients for the costs incurred in their care and each patient’s financial responsibility must be determined before treatment. All unpaid balances exceeding 60 days will incur a service charge, unless previously written financial arrangements are satisfied. All emergency dental services, or any dental services performed without prior financial arrangements, must be paid for in cash at the time services are rendered. For more information regarding our financial policies and your financing options, please click on the link below to read more about our financial policy. We understand that your time is valuable, and in order to keep our office schedule running on time, we insist on 48 hours advance notice when an appointment needs to be rescheduled or cancelled. The time is reserved specifically for you and cannot be utilized for other patients. In order to continue to maintain our high professional standards and to control our fees, we have found it necessary to charge for appointments which patients fail to keep without proper prior notice.